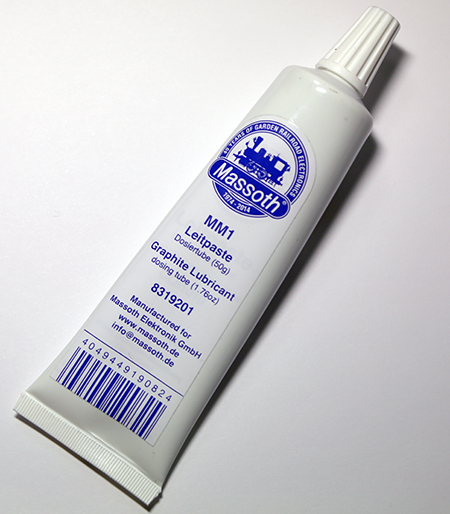 A small amount (the size of a small pea) of Massoth graphite lubricant placed in rail joiners when assembling track will improve electrical conductivity on your layout. 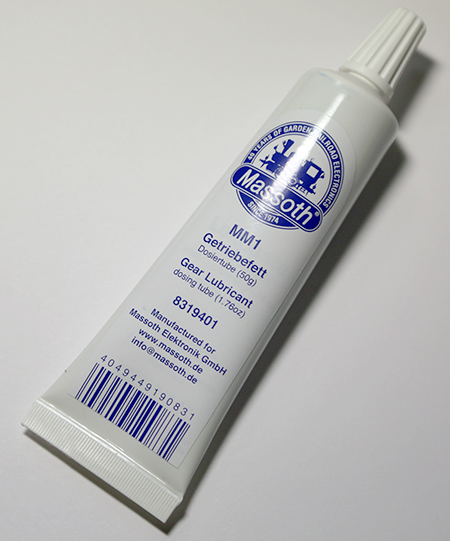 The Massoth graphite lubricant may also be used as an all purpose lubricant wherever lubrication is needed. 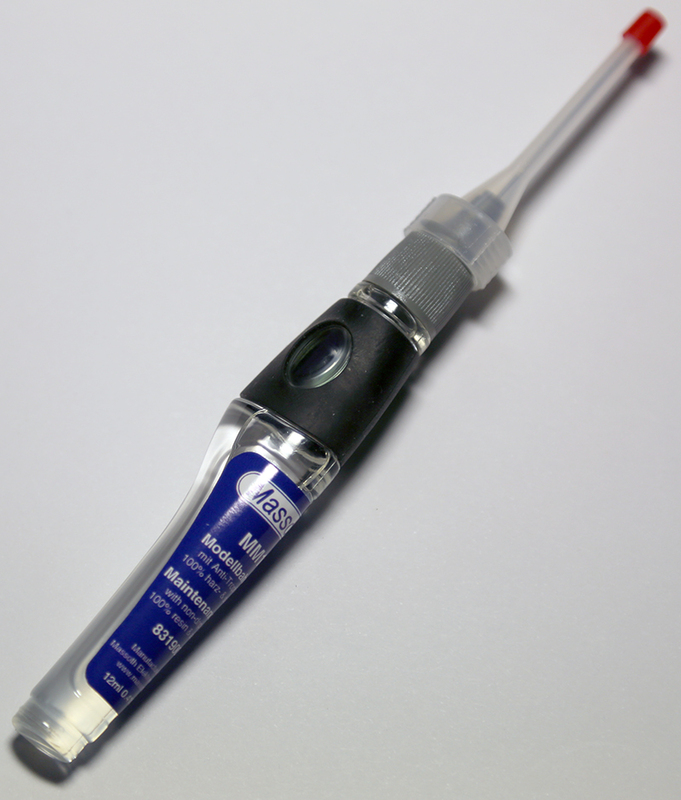 Piko Fix is a clear waterproof adhesive suitable for several types of plastics including PS, ABS, PVC, SB, and SAN. Each 30g bottle features a precision needlepoint applicator and a tight-fitting cap to prevent drying. One hundred self-tapping screws, specifically designed for use with plastics, in assorted sizes; the same screws, in the same sizes, as those commonly found in LGB® trains. This set is a smart replacement for the no-longer-available LGB® 69002 Screw Set. Pre-assembled power pick-up carbon brushes for LGB® locomotives, Four 14mm brushes included in each pack. Pre-assembled power pick-up carbon brushes for LGB® locomotives, Four 16mm brushes included in each pack. These power pick-up shoes fit most LGB® locomotives manufactured from 1991 on; 2 shoes and 2 springs are included in each pack. These power pick-up shoes fit most LGB® locomotives manufactured before 1991; 2 shoes and 2 springs are included in each pack. These power pick-up shoes fit LGB® 2040 locomotives manufactured in 1990; 2 shoes and 2 springs are included in each pack. Polyurethane traction tires for all standard LGB® locomotive wheels with a 37.5mm diameter. Polyurethane traction tires for LGB® locomotive wheels with a 46.5mm diameter. Polyurethane traction tires for LGB® locomotive wheels with a 30.5mm diameter, fit all LGB® RhB Tractors. Clear polyurethane traction tires for LGB® locomotive wheels with a 54.5mm diameter, fit all LGB® Mikados.